For some days ago Misha Sheerson published an article about using the present version of the COM Shim Wizard for the coming Excel 2010 64-bit. This is an iterim solution and we should expect a new updated version of the COM Shim Wizard when Excel 2010 has been launched. I must admit that I have been worried about what will actually happen, especially if we consider MSFT strong commitment and focus on VSTO. 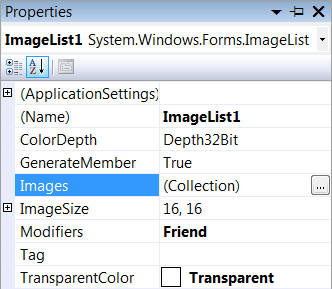 It’s good to see that MSFT has not forget the group of developers that still create custom solutions based on the Shared Add-in in Visual Studio. Populating TreeViews controls with some data is a common task in various type of applications. One common task is to let an application scan disks for folders and files and then populate a TreeView control with the data in a hierarchical way. 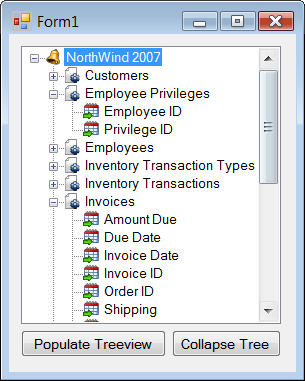 In the following example all the tables and their columns from a MS Access database will be added to a Treeview control. To work with TreeView controls can initially be tricky to understand but I hope the case here will make it more understandable. To grab the names for all the tables as well as columns from a MS Access database can also be tricky but again I hope that the following case will clear the mud so to speak. At present I work with a new coming add-in that will include an advanced report generator and to work with tables and columns in a database plays a critical role in that tool. In the next blog entry I will show how we can populate a TreeView control with data from a SQL Server database. In the final entry about the TreeView control a more generic approach will be discussed, i.e. how to get tables and columns from a various type of databases. Now it’s time to add some code enabling us to populate the TreeView control with the wanted data. As the below code shows; we create a node and we add the wanted data to the created node in one go. Const Database As String = "NorthWind 2007"
'Open the connection to the database. 'Retrieve the tables from the schema. 'Check if the table name already exist or not in the node collection. 'OK, it does not exist so add the table name as a main node. 'Get the column names in the table. 'Add each column as a child node. To collapse the TreeView we click on the Collapse Tree button. The final part of the solution covers how to get the selected node in the TreeView control. Initially we may think that the Click event of the TreeView control will give use the selected node. Unfortunately it’s not the case as that event will only return the previously selected node. To get the selected node we use the AfterSelect event as it’s fired after the newly selected node is placed in the SelectedNode property. The following code shows how to retrieve the selected node and as noted in the code we can actually either use the variable e.Node or the SelectedNode property of the TreeView control to get the selected node. 'Show only the selected table name. I hope that the above example clarify how we can work with a TreevView control. As already mentioned, the next blog entry will cover how to retrieve all the tables, all the views and their columns from a SQL Server database. 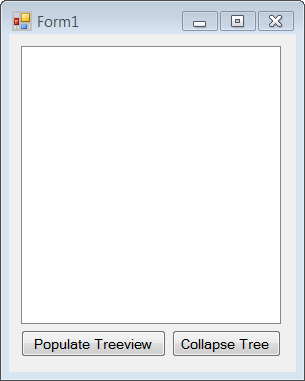 The collected data will then be added to a TreeView control.